This chair was built from the parts of an old rocker given to me by people who were cleaning out an old granary and discovered them inside. I salvaged what I could and built new parts to complete the project. 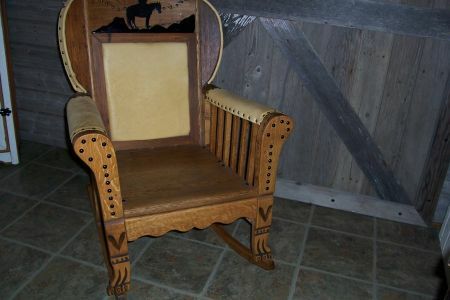 Mainly oak and fir and upholstered with elk hide. 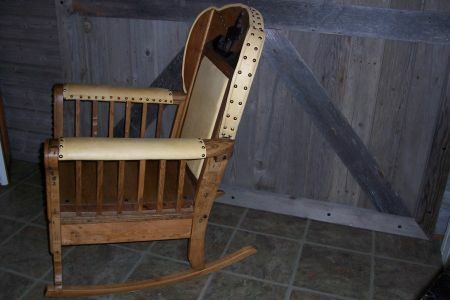 A rocker of this type is truly one-of-a-kind and of heirloom quality. 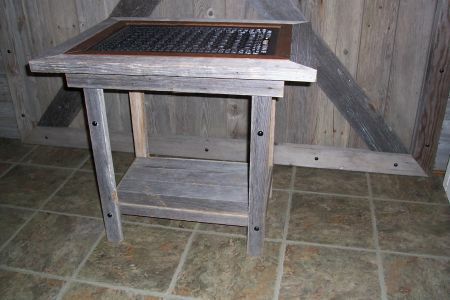 Built from weathered fir with an old cast iron furnace floor grate for the table top insert. 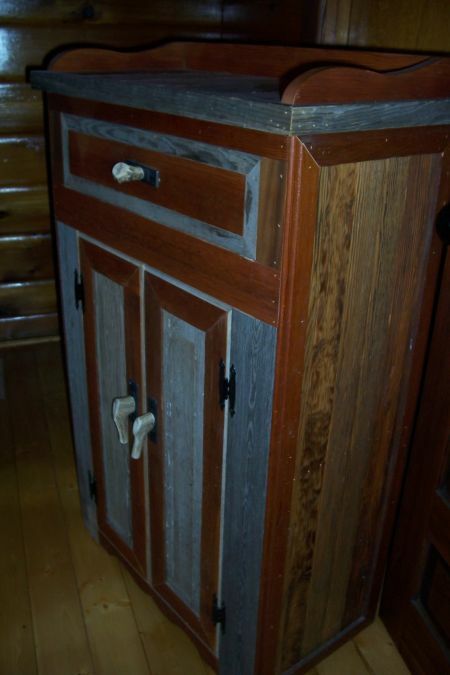 This dry sink was built mainly from fir flooring and weathered fir. 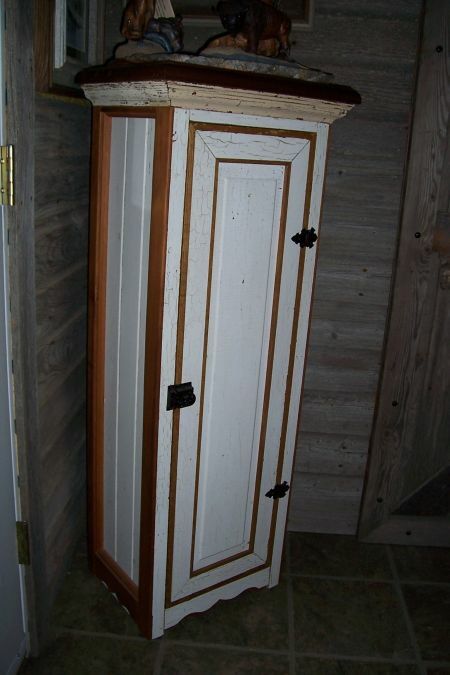 Door panels are from an old fir door. Door handles and drawer pull are deer antler. Three inside shelves and one drawer. 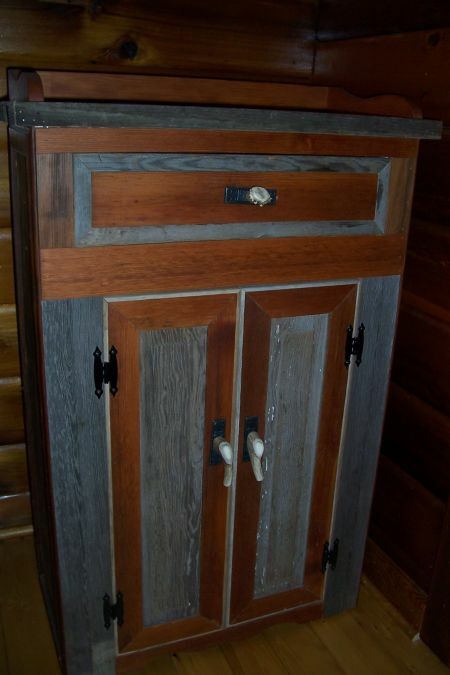 This cabinet was built from the rails and panel from an old painted fir door. Tongue and groove fir from the walls of an old farm home comprise the body while the top is salvaged cedar and maple. 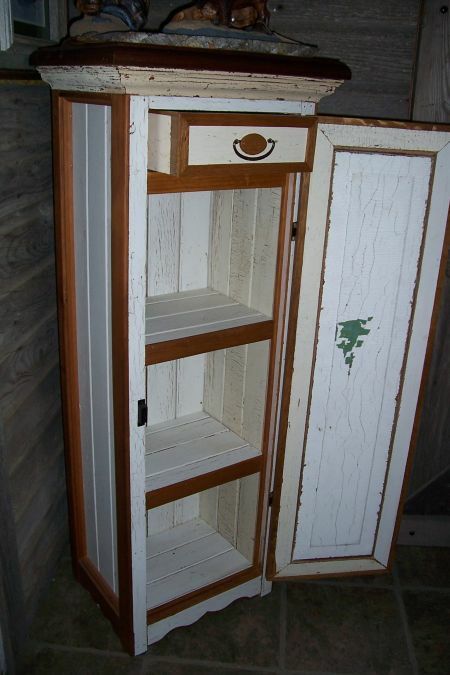 The alligator paint finish is original due to fluctuating temperatures in the now unheated house. Three shelves and one drawer inside. All hardware is actual period. 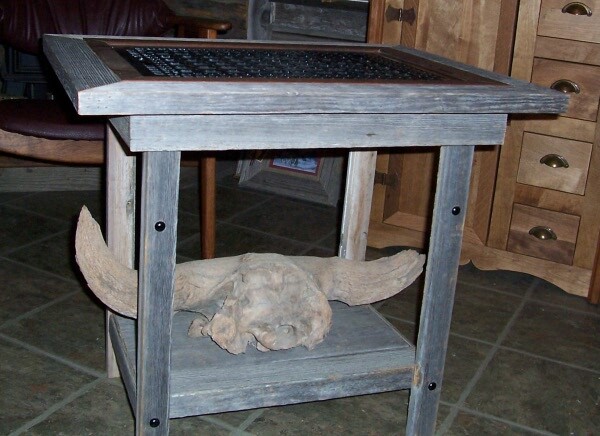 Built from salvaged fir. The top is an old staircase handrail built in the 1920's. 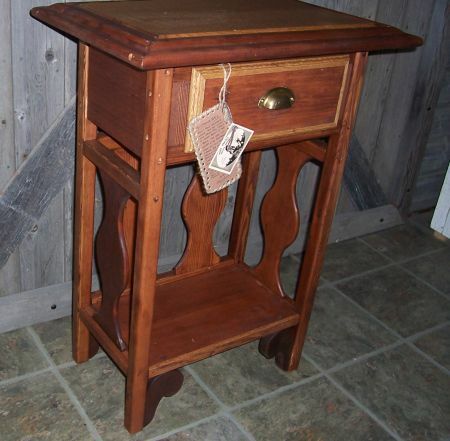 The top insert is oak salvaged from an old mirror frame. The legs are fir from a collapsed barn hay-loading conveyor system. The brass drawer pull is actual period.